TAWAU: Occupants of 56 houses in Kampung Bukit Kukusan here are advised to vacate their home for safety reason and move to the Taman Sri Merotai People’s Housing project (PPR). Sabah Assistant Finance Minister Sarifuddin Hata said the reason being that a huge rock, of about 2,000 metric tones which is on a nearby hill slope, could slide down anytime and fall on the houses. He said this in response to refusal by the residents concerned to vacate their homes, despite eviction notices, having being served on them by the Sabah Forestry Department. 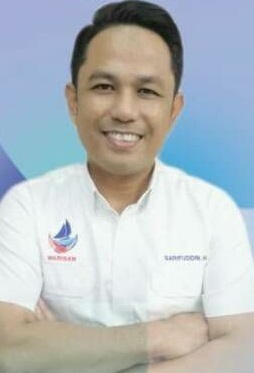 Sarifuddin, who is also Merotai Assemblyman, said he would bring up the matter to Chief Minister Datuk Seri Mohd Shafie Apdal. tremors detected at the hill everyday by the Mineral and Geology Department. Meanwhile, Tanjung Batu Assemblyman Datuk Hamisa Samat said an incident occurred in 2016 where a huge rock fell from the hill and killed two people. “We do not want a similar incident to happen and advised occupants of the affected houses to move to a safer place,” he added. Sarifuddin, together with Hamisa, Sebatik Assemblyman Datuk Muis Picho and representatives from the Tawau Municipal Council, Sabah Land and Survey Department and the Forestry Department met the affected residents today to resolve the matter.